"Odors have a power of persuasion stronger than that of words, appearances, emotions, or will. The persuasive power of an odor cannot be fended off, it enters into us like breath into our lungs, it fills us up, imbues us totally. There is no remedy for it." Jean-Baptiste Grenouille was born a sickly boy with no body scent and a superhuman sense of smell. Weird combinations, but just go with it for now... Over the years, Grenouille learns to refine his uncommon nasal abilities and becomes a very talented perfume maker. He also happens to develop a flavor for murder and a singular fascination with preserving the odors from a recently murdered corpse. It takes more than a few attempts to refine his technique... Before long, his ambitions and ego lead him down a path to develop a scent so perfect and so powerful that he will be able to control the deepest of human desires. 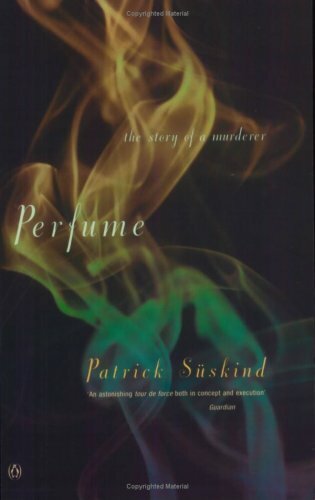 Perfume is a unique book and in some ways unlike anything we’ve ever read. With so much focus given to the scent of smell, it was interesting to look at different situations and settings through the lens of this underappreciated sense. The narrative was also effective in showing just how powerful the scent of smell can be and the writing itself was beautiful and deep. We also enjoyed the provocative look into the ancient art of perfume development and production. Really, the entire first half the novel was fascinating if not groundbreaking in the genre of olfactory fiction. Unfortunately, things took a pretty ugly turn. Two things. The idea of controlling entire populations with an intoxicating scent was a bit much – especially when you consider the effect of said scent being released into the open. Also, Jean-Baptiste Grenouille was a little too creepy for our tastes. The main character was just... yuck. Technically, a character who displays the characteristic of yuck, means the author has done a admirable job. In the case of Grenouille... not so much (how long does an individual need to stay in a state of semi-hibernation living off bugs?). In summary: very high points for uniqueness and very high points for creepiness. In this case, the later isn’t a good thing. To Kill a Mockingbird (Harper Lee) – Amazing book! Amazing narrator! Pride and Prejudice (Jane Austen) – Literature’s classic love story, although any Jane Austen book can be substituted here. Charlie and the Chocolate Factory (Roald Dahl) – So many readers (including us) missed this great author in their youths. James and the Giant Peach or Matilda can also be substituted here. David Copperfield (Charles Dickens) – Our opinion has changed over the past few months, but this novel is now our favorite by Charles Dickens. Bag of Bones (Stephen King) – Any Stephen King will do, and with close to a bazillion novels published there are plenty to choose from. The Hitchhikers Guide to the Galaxy (Douglas Adams) – “Don’t Panic” is the number one rule all teenagers should live by... Okay, there might be a few others, but not panicking shouldn’t be undervalued. This “guide” has more than a few tips! Persepolis (Marjane Satrapi) – Personally, we’re not that into graphic novels, but this novel was excellent. Plus, it helps further the quest to read a variety of different genres. Gone with the Wind / I Capture the Castle / Jane Eyre / Rebecca / A Room with a View – Take your pick! 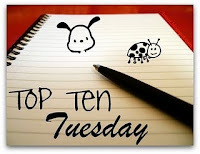 We know our favorite, but any 1 of these 5 novels will provide a worthy final choice. Human settlements have always presented problems for Dragons, and when word reaches Firedrake that his home will soon be under threat, something drastic must be done. He decides at once to set out for a fabled land where dragons are able to live in peace and seclusion. Though, before he can begin his journey, he must visit a renowned mapmaker. One that turns out to be a mouse... He also encounters an orphaned boy who happens to have the time and the aspirations for an epic quest. Together, the pair set out in search of *drum roll* the Rim of Heaven. Before we go into detail about how great Dragon Rider was, we’re under obligation to mention that one of the Two Bibliomaniacs didn’t make it past the first chapter. Apparently, a talking mouse bringing a warning to a pack of dragons isn’t interesting enough. Apparently, a quest to establish peace and safety to a threatened mythological species is hardly noble enough to demand her attention. Apparently... Okay, we’ll be done. Actually, Dragon Rider isn’t great, just good, but it does have plenty to offer any wonderful person interested in fantasy and adventure. We’re talking Dragons, mountain dwarfs, and a brownie with a pessimistic disposition. While the danger probably wouldn’t make Dirk Pitt sweat, there’s still plenty of suspense and mystery to keep the weekend adventurist entertained. The novel moves quickly around the globe to many interesting locations and keeps the reader wonder just how many narrow escapes can be packed into one book. We also enjoyed the bond between orphan boy and dragon. The pair grew closer and learned a couple important life lessons along the way. The supporting cast was strong as well. Twigleg the homunculus will always maintain a special place in our heart and Gravelbeard the mountain dwarf, while prone to making some regrettable decisions, was quite memorable. Answer: Not quite sure there are any authors we’d actually DIE to meet, but we’d be willing to negotiate a small appendage to have lunch with any of the below names. Sorry for the utter lack of commentary this week, but we couldn’t think of 10 creative ways to say we really, really, really want to meet each author. Why: Given the fact that we LOVED Rebecca, it’s almost unforgivable to think how much time has passed between Du Maurier novels. Fortunately, the Books to Movies Challenge came along and provided us with the perfect excuse. The book. 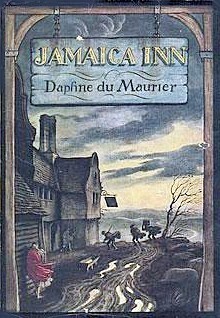 While Jamaica Inn doesn’t belong in the same class as Rebecca, it was still a solid read. The setting was fabulous and established the gothic feel right from the beginning. The characters were also unique in their ambitious personalities. Mary’s courage was inspiring and her determination in the face of injustice made us stand up and cheer. Aunt Patience played the part of meek and unconventional wife perfectly. And then there’s the landlord... Rarely does a character come along with so few redeeming characteristics as Jos Merlin. (Actually, it does reminds us of someone else from classic literature that we loath. What was his name again? Oh yea, Heathcliff!!!). Really, the only piece lacking was an ending to match the suspense and intrigue of the rest of the novel. Unfortunately, for one of us (hint- ERIN!) this was a pretty big miss. Be sure to include any of your July reviews in the below linky so we can stop by and have a read! How’s it even possible that half of 2011 is already gone? Seriously? Actually, we have some theories, but most of them are conspiratorial in nature and better saved for a later post. Plus, it’s above 90 today in tropical northern Indiana and the local pool is calling our name. Let’s hurry up and get down to business. The simple fact that we’re only 32% away from completing our goal of 100 novels makes us want to perform a giant cannonball into water during the above referenced trip to the pool. 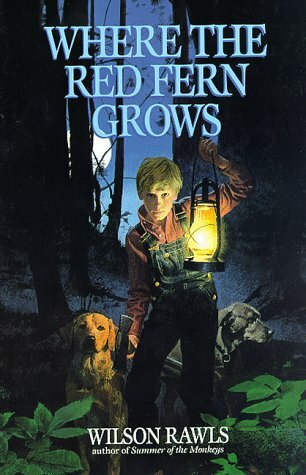 We’ve read a few great books since our last check in (Mort, The Well of Lost Plots, I Capture the Castle, and The Wastelands), a few that were medium (Enchantment, The Body, Jamaica Inn), and one that was quite annoying (Stranger in a Strange Land). Here are the reviews that we posted in June that fit into our 2011 Challenges. Here’s an update on our 2011 Challenge. All the glorious details can be found HERE. In July we have The Help, Morality for Beautiful Girls, and The Phantom of the Opera to get excited about!!! How’s everyone else doing in their 2011 reading endeavors? Send us a link so we can check out your progress!